The perfect gift for this Christmas season to show endless love and gratitude. 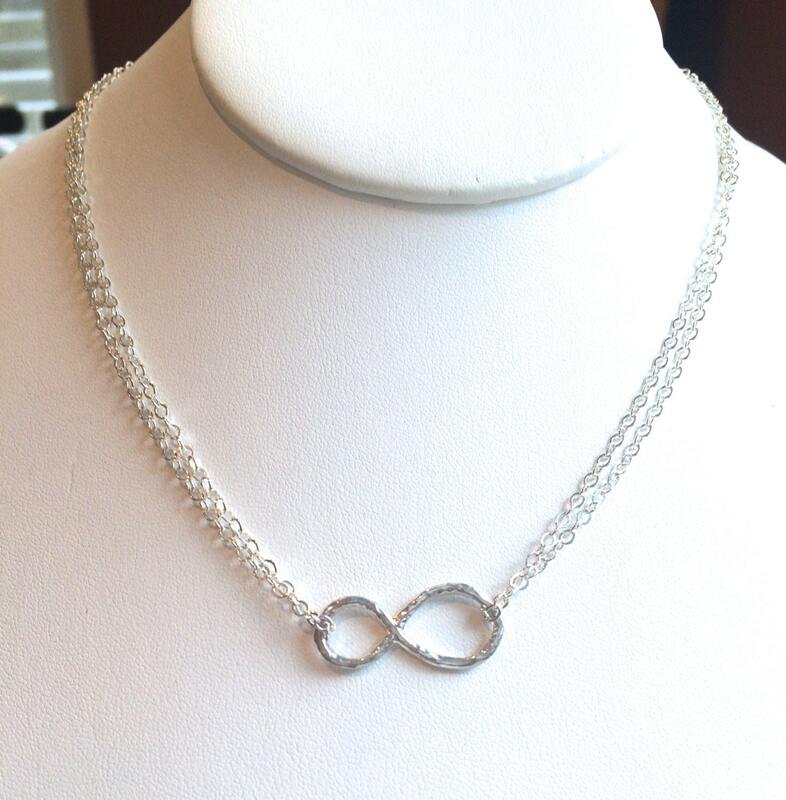 A solid silver hammered infinity link is joined by a double strand of sterling silver chain. 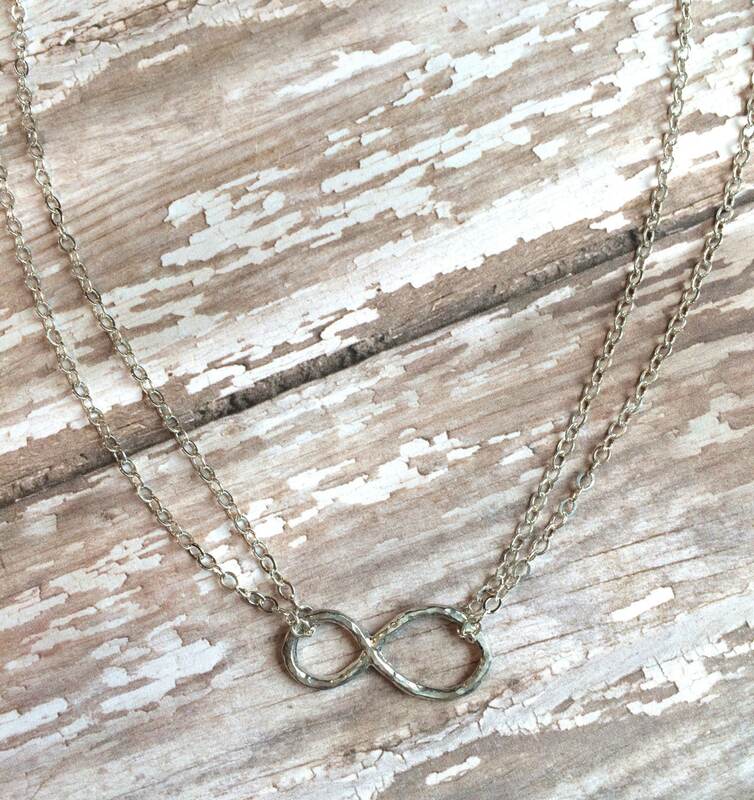 Simple and elegant in its design, this necklace is perfect for every day wear. 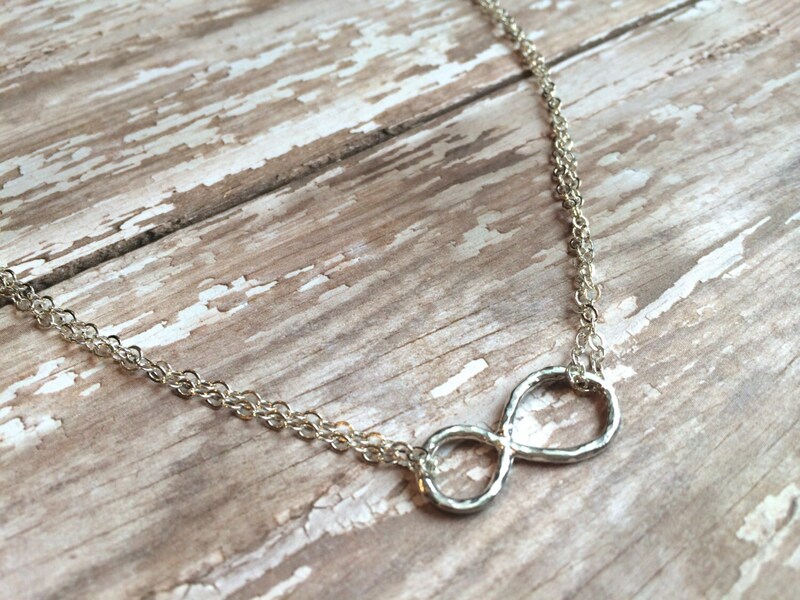 I also make a matching infinity bracelet. 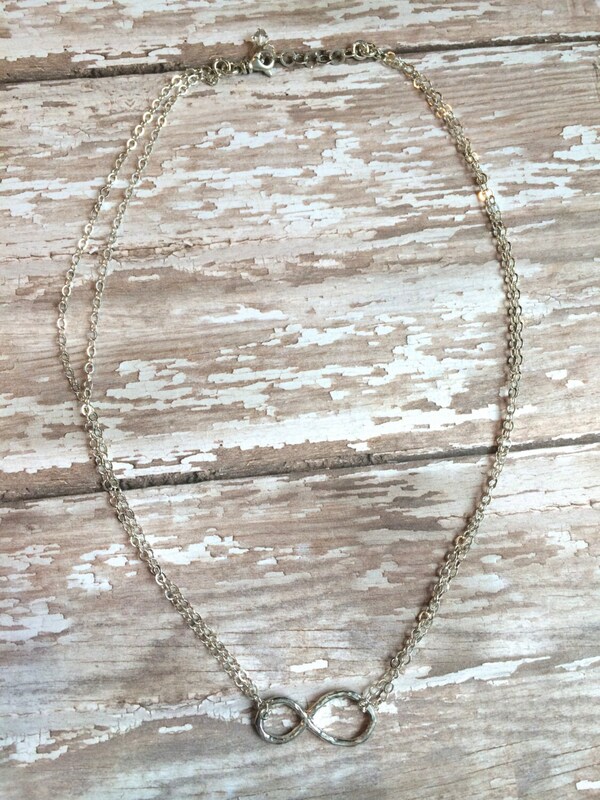 You can view it in the bracelet section of my store. 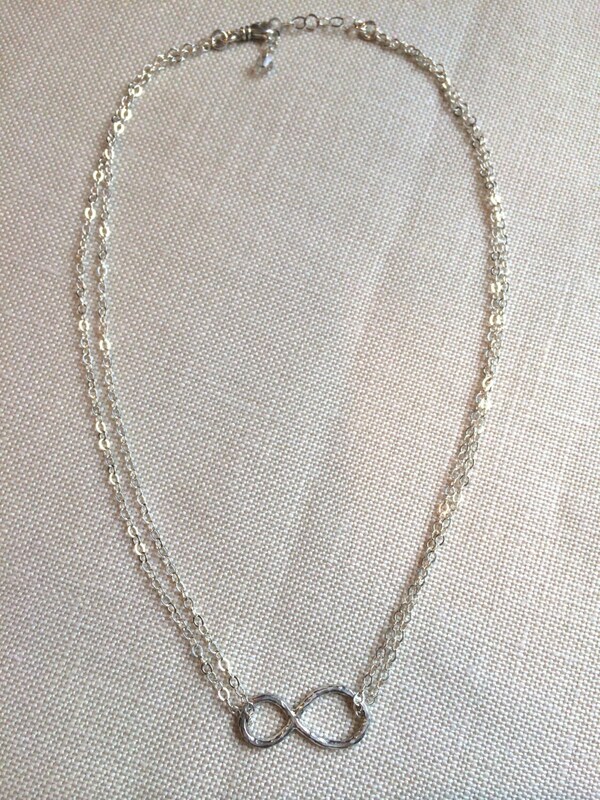 *Sterling silver materials used throughout. *16" in length with a 1" extender.